The lawsuit also claims that “Greek patents on ‘Democracy’ and ‘Logic’ have been violated by Western governments and computer makers. The suit is expected to name all computer manufacturers and governments using the Greek democratic model or the work of classical Greek mathematicians. “They stole everything from us and ran like hell!” accused chief antiquities prosecutor Dmitry Stompleupagus. We created democracy, logic and the greatest art the world has ever seen. Everybody says this is priceless art, so how come you can’t trade it to pay down debt? Because it was stolen from us and hauled out of here, that’s why! Now what are we supposed to do, bring everything back and put it on eBay? Bafangool! While we at PLUS blog do not expect this approach to bear fruit it is certainly a novel approach. Also, we apologize for the strong language in the quoted section (and if you’re not sure what bafangool means like I wasn’t – be advised to not use it in conversation unless you really mean it). 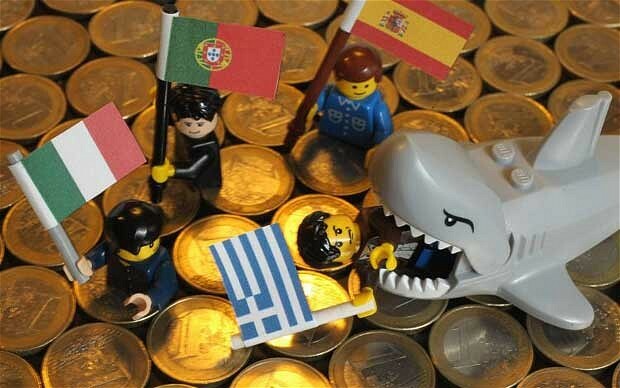 This entry was posted in FTTCF and tagged European Debt, Greece debt, greek mathematicians, politics by plushq. Bookmark the permalink.